Now buy Gaana 1 year subscription worth Rs.999 at Rs.249 with additional Rs.20 cashback. 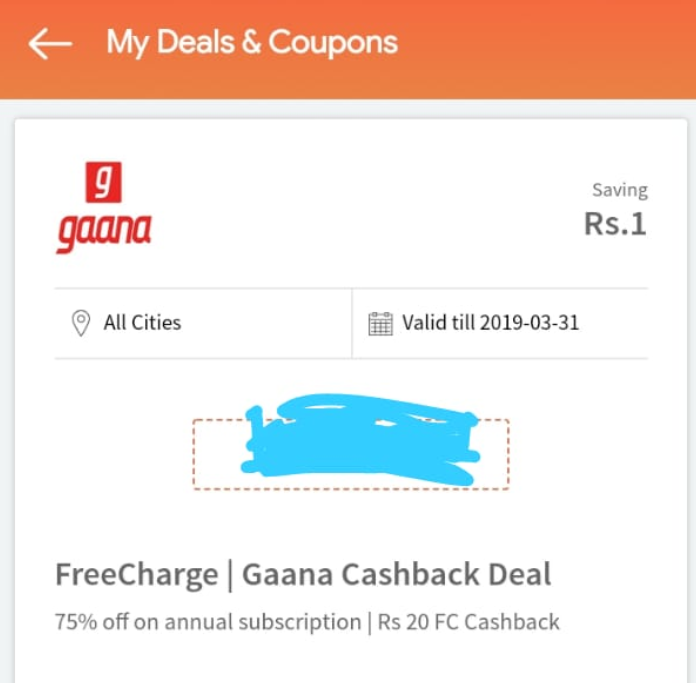 Buy Re.1 Gaana deal and get Rs.20 cashback code on Recharge/Bill payment only at Freecharge. 6. Done !! Cashback of Rs.20 will be credited in your account. Year Subscription at Rs. 249 worth Rs. Rs.999 + Rs.20 cashback from Freecharge on Recharge/Bill payment on minimum transaction of Rs.20 on Freecharge.